Recently I have been spending some time cleaning and getting to know the miniature portraits collected by my great-grandmother. Many in her collection were acquired from a sale at the Metropolitan Museum in New York, and most of those were portraits of Marie Antoinette. I will be posting the entire collection in sections here as I have time. 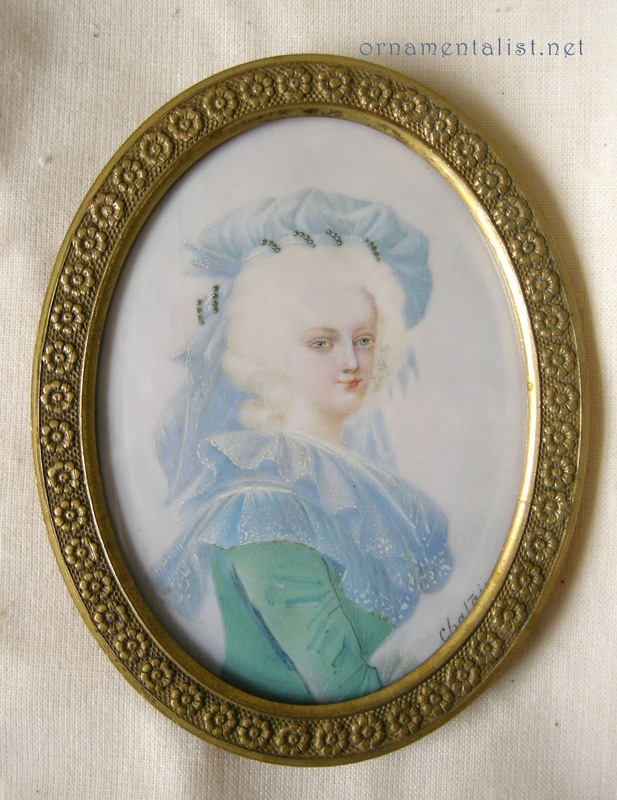 Portrait of Marie Antoinette in a green dress, gouache on ivory, signed “Chatain.” Backed with white kid leather and set in a simple ornamental oval frame with watch-crystal type pillowed/beveled glass. Very likely painted as a copy of another painting, as a souvenir. 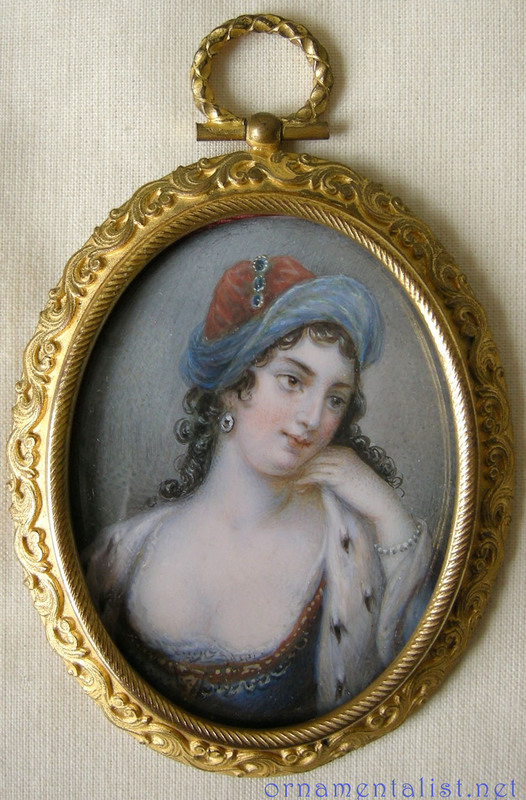 Oval portrait of a dark-haired lady dressed in the Italian fashion, watercolor on ivory, unsigned. 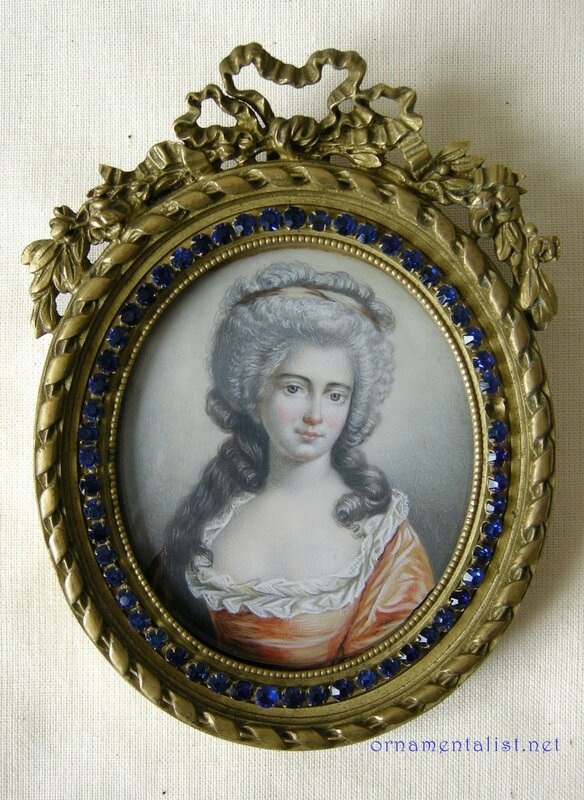 Portrait of Marie Antoinette with a rose, signed "A.T." gouache on ivory backed with white kid leather, in gilt wood frame. 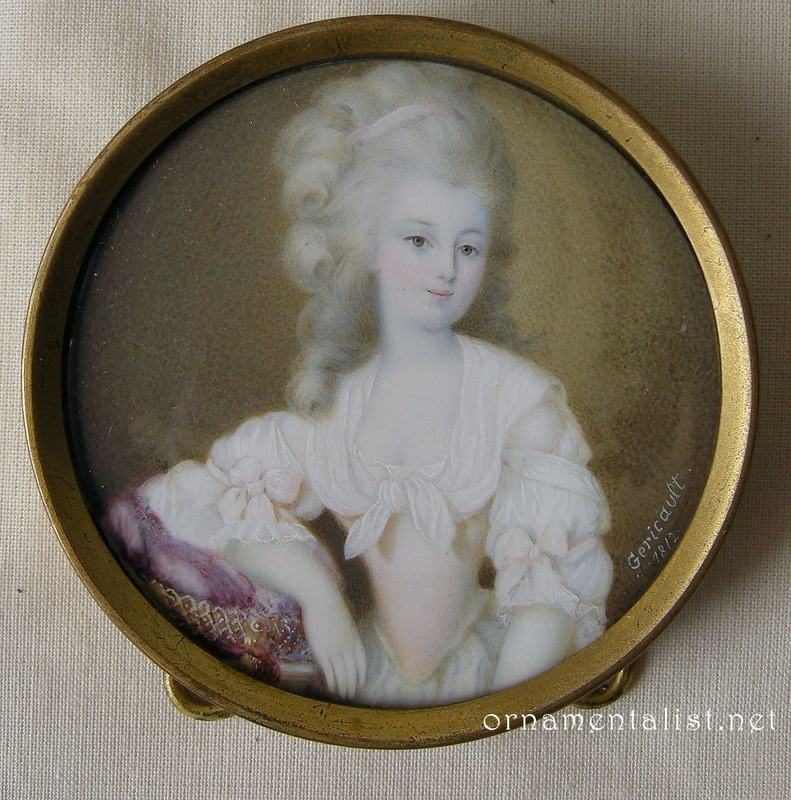 Portrait of Marie Antoinette in an apricot dress, unsigned watercolor on ivory. This painting is much smaller and older than its elaborate frame, which dates from the late 1870's. 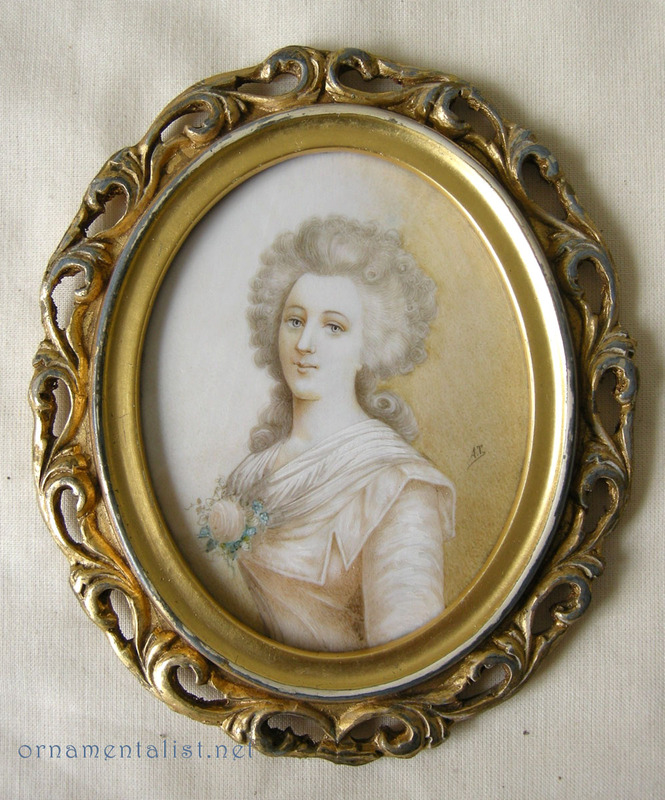 Very fine and pretty portrait of a young girl, gouache on bone ivory, signed "Gericault 1812" backed with white kid leather, in its original simple brass frame. 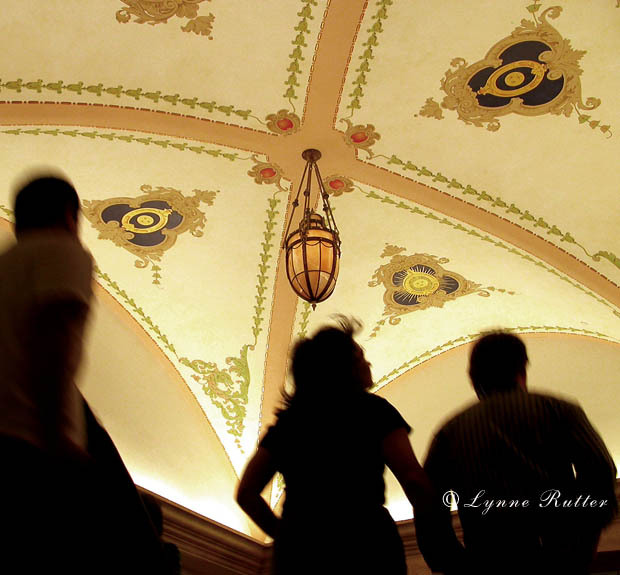 Click any image to view at larger size. Want to know more about miniatures? Elle Shushan in Philadelphia has a fine business collecting and selling miniatures. 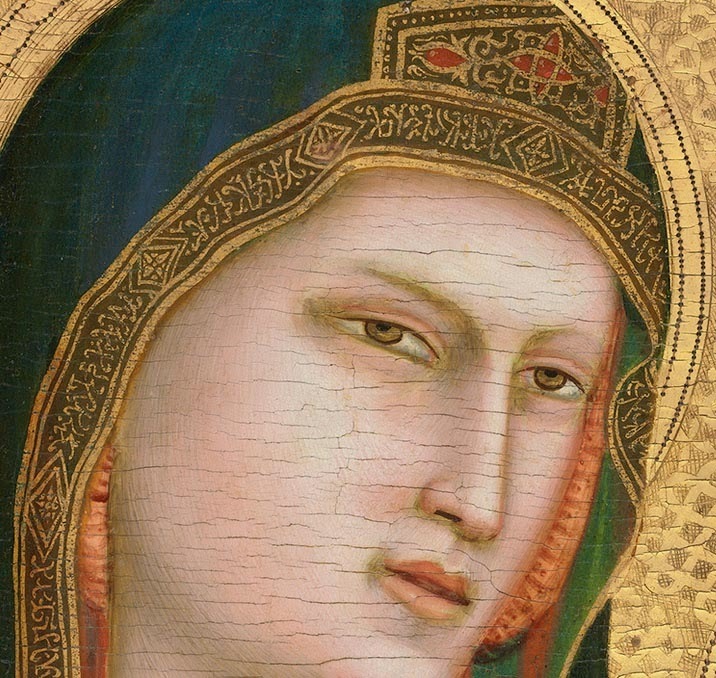 Check out this huge on line gallery of a number of collections on this extremely informative site: "Artists and Ancestors"
Let me try to wipe all the drool off of my computer now! LOL! The fourth one is my favorite, I am a sucker for the french ribbon frame with the blue stones. What a lovely collection....such amazing women in your family. Cool collections, I'm really inspired by the beautiful frames,I'm going to work on some of them for my next engraved jewellery models. Thank you for sharing. Really nice collection , These antiques Inspiration always gain value with times.